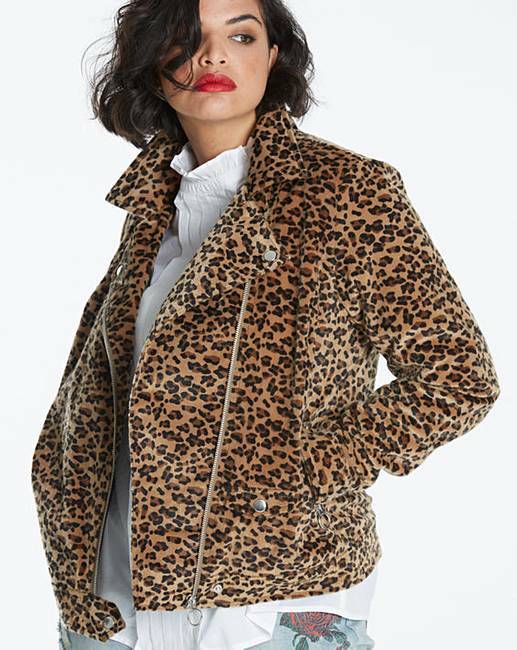 This textured leopard print biker jacket is this season's wardrobe must-have. 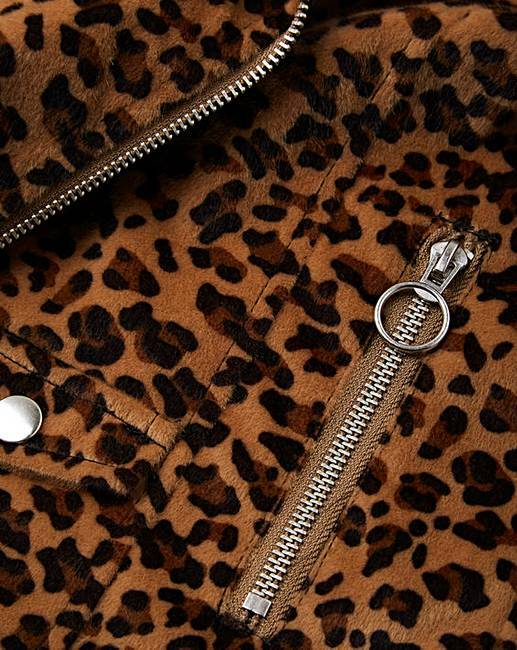 Designed in a soft-touch fabric, featuring a classic biker collar and zip front fastening, ring puller zips, two side-entry pockets and one mock pocket flap with silver stud detail. 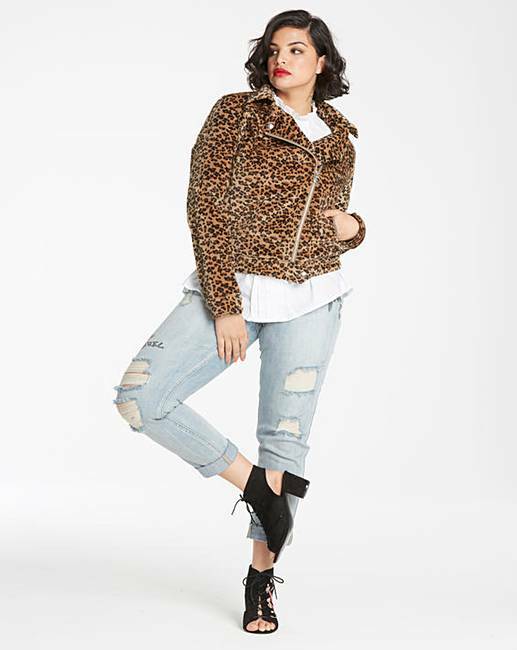 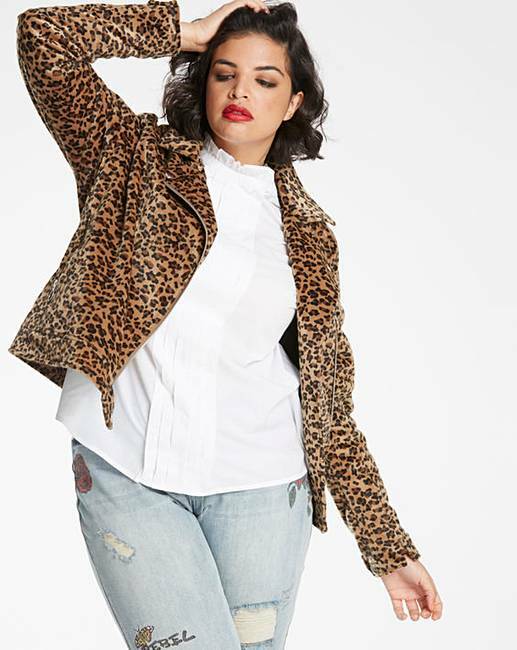 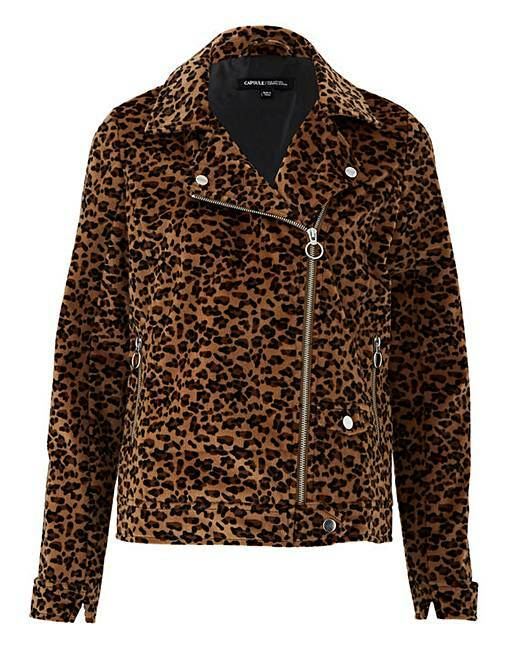 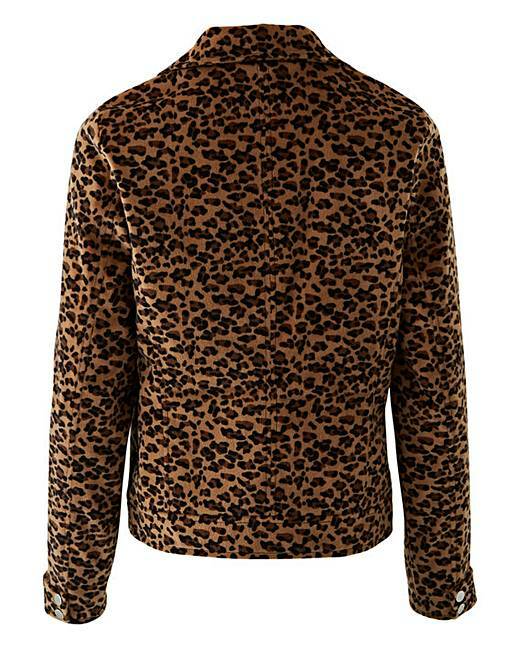 This biker will be sure to make you stand out in its soft textured leopard print fabric.